The wraps have finally been taken off Google’s mythical Google Drive online storage and collaboration service, with the news first being leaked via Google’s own French blog. Now though, the app is available to download for anyone with the right hardware, and if the video Google has put out is anything to go by, it’s going to be pretty awesome. 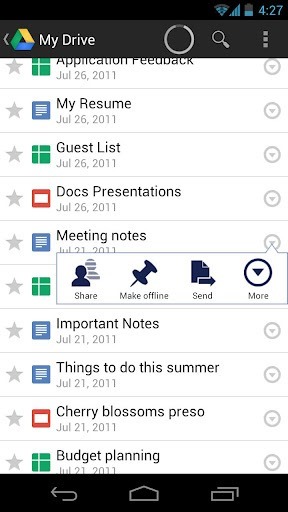 There has been many rumors, claims and counter-claims about Google Drive over the last few years. We have been expecting the search giant to bring Drive to market long before today’s release, but today is in fact the day that Google Drive has fought its way out into the wild. 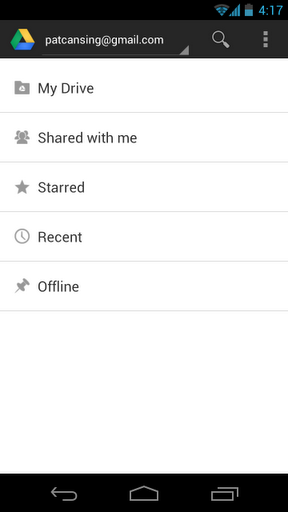 Quite what Google Drive is has changed considerably over the lifetime of its rumor-filled pre-existence. 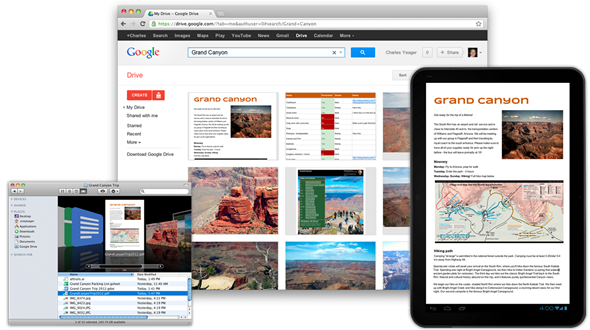 Originally simply a Dropbox-alike, Google Drive has morphed into something of an all-encompassing storage and search platform which will allow users to collaborate and basically live on their portable devices. As Google’s explanatory video demonstrates, Google Drive is very much the amalgamation of existing Google products. Google+, Google Docs and even a little bit of Google Wave is all very evident in the final shipping product that is Google Drive. How we all settle down to using the service will vary wildly depending on who we are, but use it we will. So, Google Drive. When can we use it? 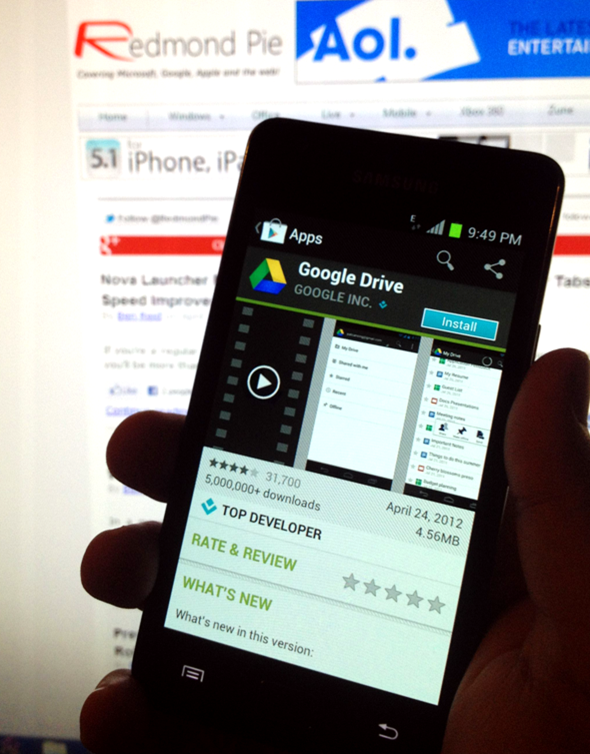 Well, Drive is live right now, with the Google Android app already available to download from Google Play. Mac and PC web apps are also there, with Google claiming that an iOS app is in the works with a release expected to come in a few weeks. Price-wise, Google is offering 5GB of storage for free, with 25GB costing $2.49 per month, 100GB setting you back $4.99 per month and 1TB stretching to $49.99 per month. Real storage monsters can make themselves comfortable with a maximum of 16TB which will set you back $799.99 a month, per user. Safe to say that one’s not aimed at the average Google user, then! It is still very much early days for Google Drive, and we suspect we won’t really know how to live with it, or indeed make the most of it until we spend some quality time in its company. After all the expectations and excitement, we find ourselves in the middle of the surreal situation of actually having Google Drive available and ready to try out. We just hope the final shipping product lives up to all the expectations. That’s assuming we can ever get our heads around it!